540 students from Vashon Island and the Greater Seattle area have participated in the Vashon Wilderness Program to date. New programs are being created that will include a new 2-day a week program for 4- to-6-year-olds in Seattle’s Rainier Valley, a moderate to low income neighborhood in South Seattle. "Since our inception in 2007, VWP has ensured access to our programs through our Scholarship Fund. We believe that lack of funds should never prevent a child from the opportunity to learn and grow, or a family from feeling connected to a larger community of people who care for their children and the earth. To date, we have awarded more than $91,000 in tuition-based financial aid. We are proud that we have never turned anyone away due to economic barriers, and remain committed to this ethic as our programs expand." 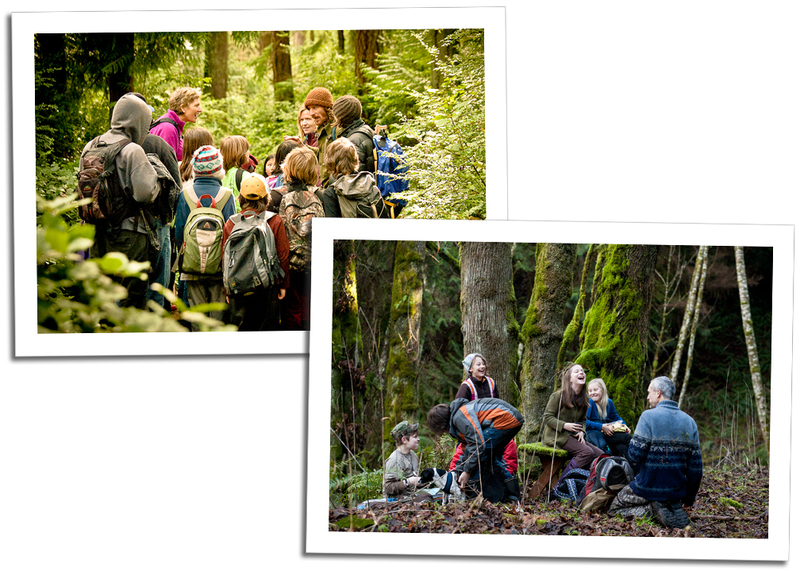 Kelly Ann Brown Foundation’s mission to honor Kelly and her legacy is easily accomplished through supporting a program as child-centered and creative as the Vashon Wilderness Program. We look forward to hearing more from this important non-profit! Click here to learn more about Vashon Wilderness Program.